Expansion also works for an entire region of code, and all macros in the selection will be expanded. 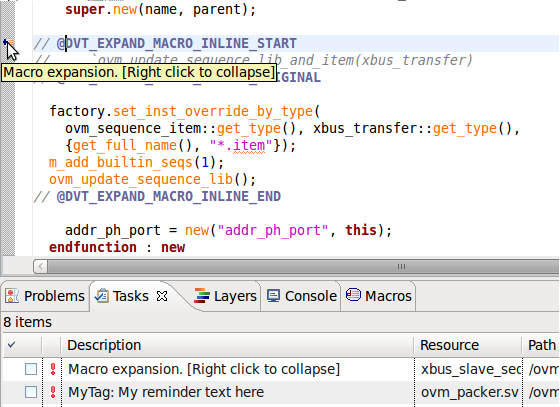 DVT also marks inline macro expansions in the code and collects them in the tasks view to allow easy tracking. You can quickly collapse a macro expansion by right-clicking on its marker.